Your dream home is beautiful on the inside, so it should be beautiful on the outside as well. 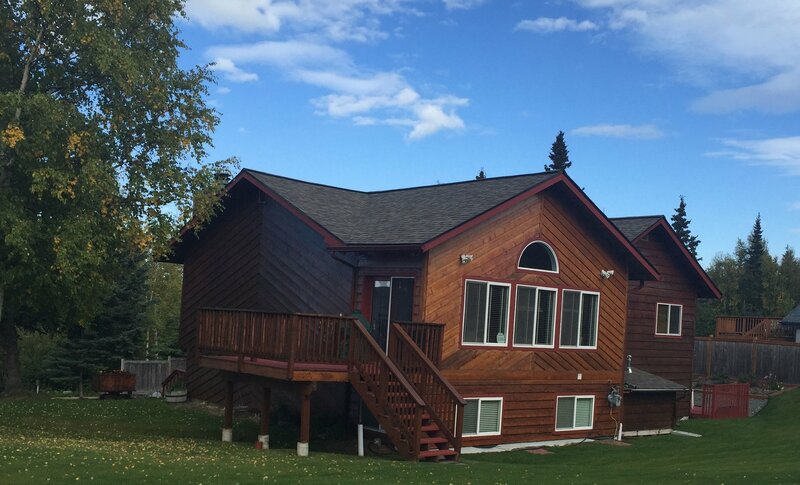 A-1 Kaylor Painting believes in making homes gorgeous on the inside and the outside, and they’ve done so for Anchorage residents for more than 40 years. In addition to being the area’s best painting contractors, they also offer siding services to help achieve beauty on the outside of your home. They specialize in cedar refinishing, which is the perfect exterior material for that rustic Alaskan feel. If you don’t already have a cedar exterior, you will be pleasantly surprised at how it can change the look of your home. If you do have cedar, A-1 Kaylor Painting can offer cedar refinishing that will make your house gorgeous again. Cedar provides a very natural, woodsy look that improves upon your home’s beauty inside and out. Transparent Finish: This is the most natural looking cedar refinishing option. A transparent oil finish is used to help protect the wood while retaining its transparency, which helps accentuate the wood’s natural beauty. Semi-Transparent Finish: This cedar refinishing option is good if you want to add a bit of color while still retaining a natural wood look. A semi-transparent finish enhances your home’s exterior while adding the color of your choice, so your home looks exactly how you want it, inside and out. Solid Finish: This is a great cedar refinishing option for homeowners who want a solid colored look without it looking like it’s been heavily painted. The solid finish still protects the wood and resists mildew. Whatever cedar refinishing option you choose, you’ll be in great hands with A-1 Kaylor Painting. They have established a superb relationship as the area’s best house painting service and as experts on cedar refinishing. Contact the team today by calling (907) 345-7309 for a free quote. Visit them online to learn more about their services.